Harassment: What Can Leaders Do? Men may be surprised about the recent outpouring of sexual harassment accusations. Women are not. We know it is real; we know it happens all the time and we all know that it could happen to us. No matter how young, old, pretty, powerful, strong or educated we are. Leadership has too often been asleep at the wheel. Leaders have looked the other way. You skip the trainings or look at your phone throughout the whole meeting. These actions reinforces that it is simply an “HR” issue. It’s not an “HR” issue; it’s a leadership issue. And it is a respect issue. It’s about recognizing that your experience is not the same as someone who is different from you. It’s about providing a work place that provides a culture of respect, safety, engagement and growth for people. All people. Not just men. Not just white folks. Not just the majority – whatever the majority is for that particular work group as well as in the country. It is not until our workplace cultures dig into what respect looks like for the people who work in that culture that we can start to move beyond this messy and hurtful place as a society. This takes time, attention, conversations and action. The actions of leaders are one of the strongest factors in building the culture of an organization. And nowhere is this more true than in the area of harassment, respect and how staff are treated. Until you can model respectful interactions and humility in the face of someone’s alternate view of reality, the lawsuits will just keep coming. I have seen this change happen. I have seen the pro-forma training, and culture, change when a leader like you steps up. When a leader asks, out loud, how can I do this better and sincerely listens to the answers. When a leader seeks coaching because he recognizes that his staff is not trusting him. Things shift when a leader speaks up about his own concerns about harassing behavior. THEN you get the attention of staff. THEN you start having real conversations. THEN the culture starts to change because staff sees, and feels, that this is different. Walk the talk. If you say you have a zero tolerance policy for harassment, then show it. Don’t make exceptions and don’t look the other way. Make sure your harassment policy is clearly written, available and followed. Believe people. This doesn’t mean you don’t investigate and listen to the accused side of the story but, at the least, suspend your disbelief when you hear a complaint. Conduct in-person trainings (or conversations after on-line trainings) to underline that this is not just a “check-the-box” issue – this is real and important. Train your supervisors. Make sure they know have the tools to supervise in a clear, engaging, supportive, and accountable manner without resorting to intimidation and autocracy. Give managers and HR the autonomy and authority to confront disrespect and inappropriate behavior long before it becomes illegal harassment. Claim a value of inclusion and train people to not just tolerate others but to value and include non-mainstream voices in decision making. Recognize this as a value added proposition. Model it. Say good morning. Say thank you. Say please and excuse me and how are you? Be human together. Yes, some of this takes time and money. (And some of it doesn’t.) Know that any money you invest in this will save you lots more money in the long run – and sometimes in the short run too. Remember that lawsuits are terribly inconvenient and much more expensive than anything on this list. And the value of building a culture of respect that makes all employees feel valued and engaged? Priceless! 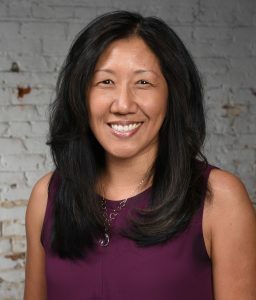 Maisie Chin believes that supervision can be transformative. As Executive Director/Co-Founder of CADRE, transformation is what their organization is all about. Since 2001 CADRE has been working with parents to transform education by ending and replacing the school to prison pipeline with healthy, restorative school climates. As a result of their work with parents the past 16 years, there have been major policy changes in the LA school district which resulted in a 90% reduction in suspensions and alternative, more positive interventions for behavior. Maisie sees her work as a supervisor primarily as a facilitator. She works to bring out people’s best. That was not the case with some of her own supervisors. In particular, she learned what NOT to do from one previous supervisor. Maisie learned how disruptive it was when a supervisor acted inconsistently and did not keep her word. Her former boss would treat her staff erratically based on her own good or bad moods. Maisie learned how important it was to follow through on commitments and to act consistently. Maisie has trained and practiced as a coach and she brings her coaching approach to her supervision. 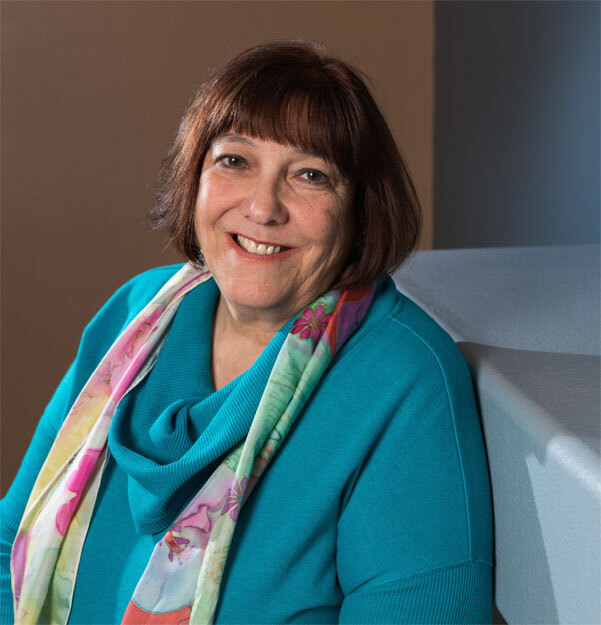 She helps her staff develop personal awareness and skills for work and for life. Skills like self-reflection and understanding how their past shows up in their work and reactions. She mentors her staff to work intentionally, in alignment with the mission. Occasionally staff don’t want that kind of supervision. They just want to be told what to do or to work transactionally. In those cases, they resist the coaching or simply tell Maisie what they think she wants to hear. That doesn’t work. Those staff members eventually choose to leave. Maisie’s work with CADRE is an example of effective supervision aligned with and in support of a powerful mission. It makes a huge difference. Supervision matters! Congratulations! You’re a new supervisor and now you supervise former peers. Let’s look at some important tips for new supervisors to set the stage for success – for you and your new staff. Ask questions and listen deeply to understand what is expected of you. Review your job description with your own supervisor and make sure you are clear about where your authority lies. What can you do on your own and what must be approved? Ask questions to discern the culture of supervisors from the management perspective. What is expected of you and other new supervisors in this role? 2. Meet 1:1 with each person and actively listen. You may know your staff well, but you don’t know them as a supervisor. Ask them questions and listen intently from your new vantage point. What are they proud of in their work? What they need/want to be successful? Any specific requests of you as their supervisor. Tell them how you see things being different now that you are a supervisor. Explain how you see things not being different. Always end with: Anything else? 3. If someone was a candidate for the job: make a plan with your supervisor. It is always awkward when new supervisors have to supervise someone who thought they should have gotten the job. Make a plan with your supervisor for the three of your to meet. Your supervisor can establish your authority in a clear, direct and professional manner that leave no room for second guessing the decision that make you supervisor. This is not an adversarial meeting; the focus is on clarity. 4. Hold a staff meeting and share your vision and priorities for the team. After you’ve met with each staff member individually, bring the team together. Discuss your vision for the team, how you see your role, what your style is and what you expect from your former peers. Invite their questions and concerns. Act with confidence but not bravado. The position is yours. Step into the role. Determine how often you need to meet with each team member. This might be weekly for new or struggling staff. With other staff, it might be every other week. With strongly confident and established staff, it might be monthly. Get these meetings on the books for the next few months and prioritize them. This is a critical practice of new supervisors, and seasoned ones as well. One of the most important tasks of supervisors is to let your staff know what is working and what is not working. Acknowledge the successes and support the positive actions. Address any problems as they come up. Give feedback in a neutral and clear manner. This is information each person needs to be successful. 7. Treat everyone the same at work: friendly but not friends. You may be friends with some of your former peers. But now you have a different role and you need to understand the impact of your actions as a supervisor. At work, you must treat everyone the same. No favors for your friends. No extra information for your friends. No complaining to your friends. No chatting about your a party you went to with some staff members. At work, you are the supervisor. Period. Be friendly and supportive of everyone but do not show favorites. Be fair. Apply rules and procedures consistently. Keep up with your meetings, both the one-on-ones and the team meetings. Hold people accountable in the same manner. If you say you’ll do something, make sure you do it. If you make a mistake, admit it. 9. Get support from other supervisors and/or a mentor. Find someone who has been a supervisor and ask them for help and support as you transition to this new role of being a supervisor. This might be your own supervisor, a supervisor from another department or company or it might be a coach. Find someone that you can ask for help and speak the true challenges you are facing. 10. Act like you a member of the management team. You are now a manager; you are one of many supervisors in the organization. You are still on your own team but you are also on this new team of management. Find out what the rules of this new team are and how they act together. When you are called to deliver news or ask for information or apply a new policy, don’t set yourself up as a simple messenger. Speak for yourself; don’t hid behind anyone by using words like “them” or “have to” or I wouldn’t.” Own the change and speak it clearly. You can still hear any concerns that might come your way but don’t set yourself up against management. You are now one of them. When you apply these tips, you will be a star among the new supervisors! Now You’re a Supervisor – of Your Former Peers! Congratulations! You landed the promotion and now you will be a supervisor. In fact, you will be a supervisor of your former peers. BE CAREFUL! This is a tricky transition and many dangers lie ahead. 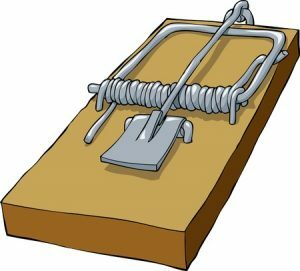 Here’s a quick summary of traps to avoid to successfully maneuver the transition. You may want to downplay the changes, but it is important to recognize that this promotion does change things. As a supervisor of your former peers, you have a different job and a different relationship to your colleagues. On the other hand, don’t become an authoritative supervisor and start acting bossy and mean to your staff. Supervisors must treat all their staff fairly. When you show favoritism, this creates distrust. 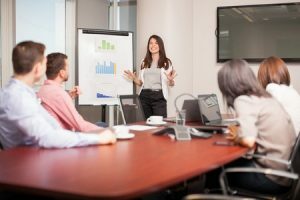 You may be hesitant to address problems but this is your job now that you are a supervisor of your former peers and you must address concerns sooner rather than waiting and hoping they will disappear. You have power and authority now because of your position as a supervisor. Acting like it is not there only makes people distrust you. In the interest of wanting to remain a peer, you may try to do too much. If you role requires delegation, you must learn how to delegate in a respectful, clear and direct manner. When new supervisors are worried about their newly broadened responsibilities, it is easy to move into too-frequent oversight of tasks and projects. Resist the urge. Lay out outcomes and benchmarks and then check on them in a consistent and planned manner. You’re not one of the gang now. As a supervisor, you can’t gossip about team members or managers. This would break trust and confidentiality which will undermine you work in very short order. While it may be tempting to align yourself with your staff, resist this temptation. You are a supervisor now and you must support the organizations’s greater agenda, not just focus on being liked. Stay tuned for TIPS to set you and your team up for success as you move into the role of being a supervisor and prepare to lead your former peers. It can be difficult to supervise an introvert. Introverts tend to be quiet and thoughtful and somewhat reserved. They probably won’t be the first to offer a solution to a problem, but they may offer the best solution if you wait a minute. Send out meeting agendas to those you supervise a day ahead of time if there are going to be discussion items. The introverts in the group will have time to think about the topic and will be more likely to come prepared to discuss options and ideas. Introverts often have a hard time being heard in meetings. This can be addressed by training people to facilitate the meetings. Find a way to train some (or all) people in basic facilitation skills, like how to stop cross talking and how to ask for input without putting people on the spot. The facilitation role can be rotated on a regular basis (e.g. weekly) among the meeting participants. Then everyone will be more thoughtful about how to include everyone else in the discussion. Don’t wait to hear about problems until they are large problems. 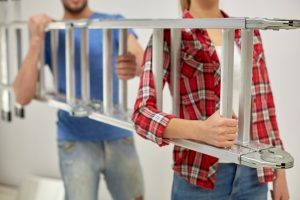 As you supervise, be clear about when and how to bring concerns up the ladder. Train the whole team in basic conflict resolution skills. This will save countless hours lost to interpersonal conflicts. It would also be great to train people about personality styles so they know that a different style doesn’t mean worse, just different. Not all leaders are outgoing and charismatic. Recognize and talk about quiet leaders. Acknowledge the employees who offer quiet and effective solutions or ideas. Supervise and mentor the quiet leaders as well as the extroverted ones. 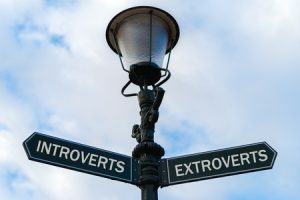 Introverts have a lot to contribute to the work place but it may look and sound different than the way extroverts contribute. Be a supervisor who makes room to see and hear and support everyone on your team. Accountability happens when there is clarity and follow up, from both the employee and the supervisor. Accountability is, in many ways, the cornerstone of supervision. It is all about helping your staff do what they need to do and therefore carrying their fair share of the work. 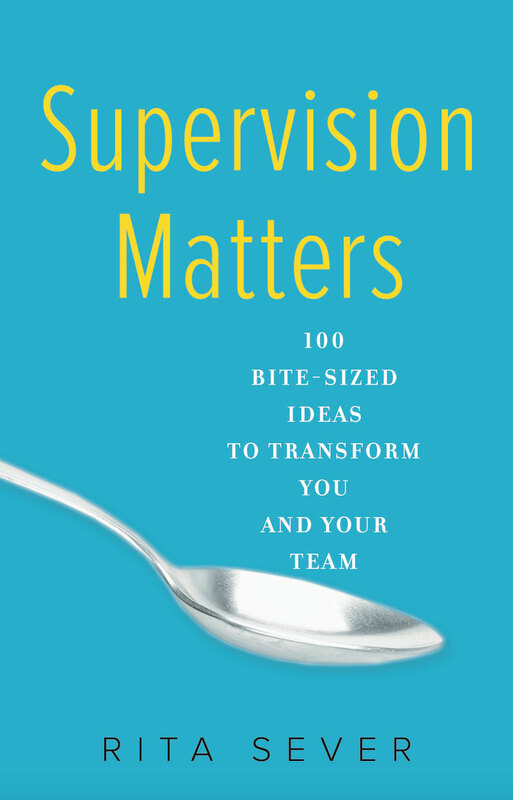 For too many supervisors, accountability is about micromanagement. These supervisors think the only way to ensure something is done, is to do oversee every single step of the process. When they are this involved, the work will be done but you will also have very unhappy employees. Here are five steps to accountability. Be absolutely clear what is expected. Paint a picture of what success looks like. Whether you’re talking about an entire job, a responsibility, a project or a one-time assignment, take time to explain what is needed. Make sure your staff person understands. Ask them if they have any questions. Check to ensure you are talking about the same things. Specify any relevant time factors. Be clear how they need to do the task as well as what they need to do. Set up clear bench marks. Especially for a big project, accountability happens in steps not at the final deadline. Back up from the completed project and plan completion days to be on target for the final deadline. These interim check points can help the staff person manage their work and it can assure that things are moving forward. 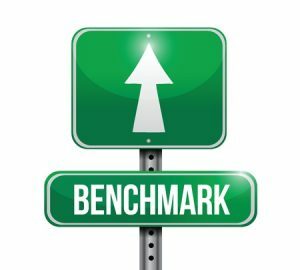 Pay attention to the benchmarks. Notice and follow up to make sure they are met. Don’t just blow it off or accept a vague rationale or a promise that things are fine. The benchmarks are there to keep the process moving forward. If a benchmark is missed, make a clear agreement (with time checks) of when and how the benchmark will be met. And then, follow up on those agreements. At the next interim step, ask clearly: Did you complete the task? This is a yes or no question. If yes, acknowledge their success and, if they are in learning mode, discuss what they learned. If the answer is no, ask what happened. And then talk about how many of the things that got in their way were under their control. Help your staff learn how to control their time and their priorities by holding them to them. Talk it through. When the project is completed, mark the occasion. Celebrate and debrief. Help your staff think through the entire process by asking thoughtful questions. What contributed to success or failure? Any thoughts of how it could go better next time? How does this accomplishment (or lack thereof) impact of this work on the organization’s mission? What do they think is most important for their work going forward? If they need time to think about their answers, meet again soon to hear what they’re thinking. All of this helps your staff be accountable to current commitments while also helping them learn how to prioritize and hold themselves accountable. It’s a win-win! Hiring is one of the most important tasks you have when you’re a manager. You invest a lot of time and money when you hire a new staff member. And if you get it wrong, it can cost even more. So here’s five quick tips to consider when you’re facing that empty desk in your department. Prioritize the hiring process. Time is tricky to balance when you’re hiring. You want to give it enough time to know your candidates, including good interviews and reference checking. At the same time, you want to be flexible and fast so you don’t lose your best candidates to other offers. The solution is to make hiring one of your top three priorities once you start the process. Don’t go it alone. Who will be most impacted by this hire besides you? Include a representative of those people in the hiring process. This might include people who will be supervised by this new hire, project partners, fiscal staff or even a client. You can be clear from the start that you will make the final decision but getting input builds trust and connection. Include behavioral questions in the interview. Behavioral questions are the ones that ask for a story from the candidate’s past. “Tell me about a time . . . .” “Give me an example. . ..” “Describe a situation. . . “ These questions are five times more effective than straight knowledge questions. Have the candidate tell you about their past behavior in a concrete, rather than a hypothetical, manner. Behavioral questions are not easy to answer so don’t make all the questions behavioral. Pick some key traits and ask the candidate what they’ve done in that area in the past. Listen carefully. Obviously, you want to listen to the candidates’ answers. Hear their experience, their qualifications, their enthusiasm. (Caution: Don’t confuse introversion for lack of enthusiasm!) Listen also for what you don’t hear. Ideally, you would have a clear idea of what you’re looking for with each question and if you don’t hear something you’re listening for, consider that. It may be important or it may not, but notice it. Listen also to their questions when it is their turn. Their questions will hopefully show thoughtful attention to the job and the organization. Hire for alignment. Alignment is bigger than fit. It allows more variance and diversity while still ensuring that the candidate is aligned with the mission, the culture and the work of your organization. Make at least one of your behavioral questions about alignment. Have fun with the process. Let the candidate know the kind of manager you are as well as what the job is. 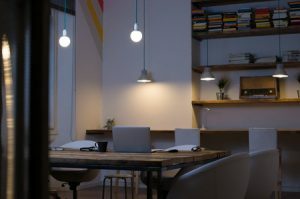 Pay attention to these five tips and you will be more likely to get someone competent to work at that empty desk. As a supervisor, you want to teach your staff to succeed and do good work. Too often, however, supervisors inadvertently teach their staff not to listen to them. 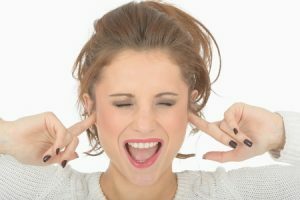 When supervisors teach their staff not to listen to them, it can lead to frustration for the supervisor. It can also create big problems for the organization when work is not completed the way it should be. It is surprisingly easy to teach them not to listen to you, without even trying! 1. Make your staff feel unheard. 2. Say the same thing over and over again. When anyone says the same thing over and over again, it is natural to tune them out after awhile. When this happens in the same conversation, it becomes a lecture. And people stop listening. 3. Do other things when you talk. Check your phone, look through papers on your desk, write notes to yourself. When you show your staff that there are other things as important, or more important, then them, they will get the message. They will feel disrespected and will be much more likely to do the same to you. Tell them one thing and then, soon after, contradict yourself. Tell them what the top priority for their work is and then change it soon after, without acknowledging that this is a change. Or tell one thing to one staff member and tell another staff member the opposite. This will ensure that no one really listens to you because they know that the information might change in 5 minutes or 5 days. 5. Speak out of alignment with your actions. Tell them one thing and act in a way that shows you don’t mean it. For example, give your staff a rousing speech about teamwork and then promote the staff member who is the most competitive person around. Or say you value work-life balance, and then question why a staff member didn’t respond to the text you sent at midnight. Any of these actions will tell your staff that you are not consistent, you are not trustworthy and it would be a waste of time to listen to you. Evaluations are stressful for everyone, supervisors, staff members and even HR. The point of evaluations is often lost in the pressure to get something in the file by a looming deadline. While evaluations may never be anyone’s favorite process, they can document an important conversation. Remember these key five points to make the evaluation process relevant and not just an exercise in paper-generation. Don’t use the evaluation to just capture problems or areas of improvement. Make sure you note the successes and learning that happened since the last evaluation. This is the golden rule of evaluations. Any information that is important enough to warrant mention in the evaluation, should not be a surprise to the employee. If you haven’t addressed the concern before, then own up to your mistake. And don’t let it happen again next year. Anything you mention must be job-related. How does this action or behavior impact the employee’s work? If you can’t connect the dots, then how is it relevant to the evaluation? No comments about how nice someone is, unless that is a required job skill. If it is important to their work, explain the connection. The point of the evaluation is the conversation. Although HR requires the form, the point of the process is the conversation with the staff member. The evaluation form should document the conversation and not vice versa. Give more time and attention to the actual conversation with the employee than to the form. Make the conversation matter. The evaluation process is designed to look at the past year and it is important to summarize and evaluate progress periodically. Use the “look-back” to give feedback and information about what worked and what didn’t work. Then spend the bulk of the time on facing the future together. What needs to be different in the coming year? What opportunities are available? How will you build on successes? What are the top priorities moving forward? Where does the staff member want to stretch and grow? What goals will you set together and support them to reach? That’s the fun part and it deserves the most attention. Supervisors Lead Best with Curiosity, Not by Playing Gotcha! Gotcha is the moment when one person catches another person in a trap. Often this is an unspoken “gotcha” but it is there nevertheless. This words great in a strategy games like chess, but supervisors erode trust when they play gotcha with their staff. After a few incidents of gotcha, staff members understand that their supervisor’s intention is to catch them, not to support them. There is little room for playing gotcha in a workplace. There are some supervisors though who love those moments and there are others who inadvertently spring those moments on their staff. Playing gotcha does not help your staff to learn or grow. Supervisors lead best with curiosity, not by playing gotcha! When supervisors don’t understand an action that a staff member took, they often try to find out what they were thinking. This can lead to an inadvertent gotcha moment. Questions can be a valuable tool, but it is important that you bring genuine curiosity to the questioning; otherwise it can come across as interrogation. When supervisors are in interrogation mode, they assume that they know everything there is to know about the situation. These supervisors don’t really care what the staff member has to say; they just want to make a point. When supervisors are curious, however, they genuinely want to hear what the staff member has to say. They recognize that they might learn something. And the supervisor’s intention is to help the staff member be successful. Not only are the curious questions less aggressive in the initial exchange, they set up the staff member to have an honest exchange with their supervisor, to keep talking to them and to trust them. The interrogation tells the staff member that there is only one right answer and that the supervisor is the one who knows it. As a consequence, the staff member won’t bother to tell their supervisor what they were thinking or why they tried something new; they will just try to get the “right” answer and move on. Over time, interrogation questions erode trust and impact the work in dramatic fashion. Good supervisors don’t practice gotcha with their staff. They lead with curiosity to build trust. Unless, of course, they’re actually playing chess.